Home Android Top 5 Android Apps that Bring Out the WOWs! Most people these days know for a fact that Android devices are quite useful and versatile with their Android apps. But still, not everybody realizes exactly what makes this platform so outstanding. If you’re looking for ways to make your friends’ jaws drop in amazement, the selection of apps featured in this article will come in handy. We have selected the following Android Apps because they arguably put out the highest ‘wow factor’, through their ingenious utilization of the diverse pieces of hardware available in a standard Android device – such as the gyroscope, Gps, camera, and Internet access. 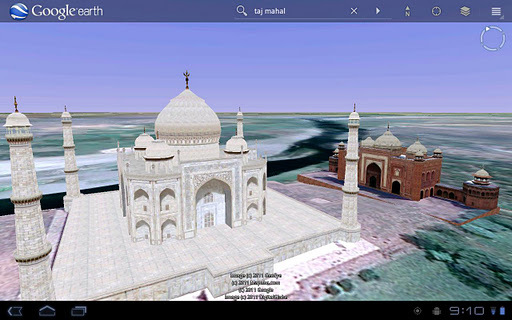 One of the most thrilling experiences for newcomers into the Android world happens when they first load up Google Earth. While the same experience is indeed fascinating on a regular computer, using this software on a portable device such as a smartphone or tablet is nothing short of astounding! Courtesy of the device’s GPS chip, you can jump from the view of the green/blue orb we call Earth to your present whereabouts, with the click of a button. While looking down into the screen, you cannot help but to think “so this is what Superman would have felt like, plummeting down to the surface”. My favorite and one of the best Android Apps. If you want to stay on top of metereologic developments in your area of residence, this app will do the trick. Not only does it draw data from one of the most reputable and accurate sources in the world, but it presents all the information you could hope for in a stylish and intuitive interface. You can easily check on the day’s hourly forecast, as well as peek into what the weather will be like in the next couple of weeks – complete with local temperature, humidity and a plethora of useful details. Never again will you be surprised by rain during a picnic! This is one of those apps that isn’t exactly useful… but boy, does it add a magic touch to your Android devices. Simply put, it makes the background on your Android device look just like the overview of a realistic looking aquarium, which you get to populate with several fishes of your choice. 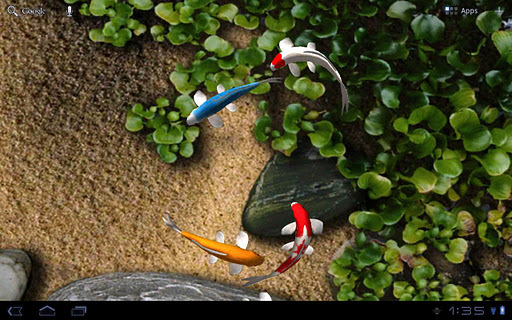 You also get to feed them by tapping on the screen with multiple fingers, and they will even grow over time! Also, the water effect on this app is so visually impressive that you will often get the impression that your fingers are actually wet. Have you ever wished you could access a file in your home computer, while out on the road? Would you like to be able to actually control your computer remotely as if you were standing there, irrespective of whether you’re across the room or across the world? With TeamViewer, now you definitely can! This impressive app streams content from your computer screen to your tablet or smartphone, and more: it actually allows you input mouse/keyboard commands into your computer remotely, doing anything from playing media to actually get real work done. Highly recommendable android apps for all the nomad techies out there! We started this list with an impressive app from Google, and it follows naturally that we shall round it off with another. This one however, is all about charting the open skies. Using the gyroscope in your device and a vast database of sky charts, this app creates an amazing overlay showing the names of alls the starts in the night sky. In other words, you can point your Android towards the sky, and it will show you exactly what constellations and stars you’re looking at, out in the great adobe. Besides being useful for anyone with an interest in astronomy, it is outright astouding to look at. No wonder it was among the most popular Android apps in the year of 2011. So guys, do you know some more Android Apps that bring out the WOWs ? If yes, share with us via comments below.